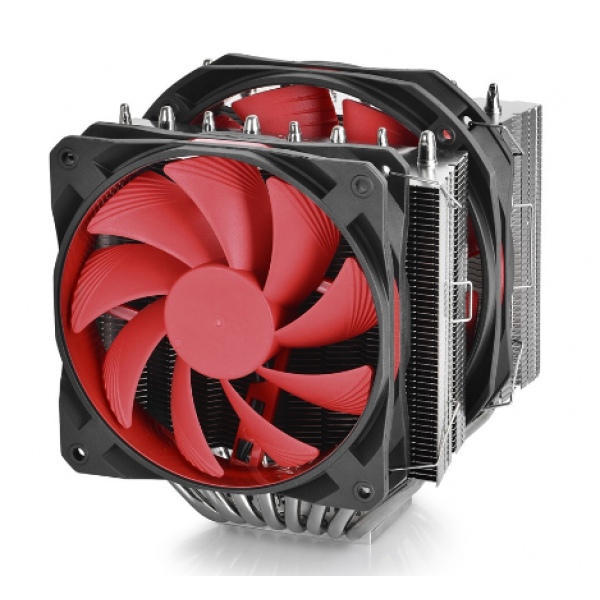 ASSASSIN II Asymmetric Twin-Tower Design CPU Cooler for Overclockers. The new generation of ASSASSIN II has preserved key features from ASSASSIN of great heat dissipation performance:Nickel-plated heatsink, 8 high-performance heatpipes,mirror finished copper base.In addition, ASSASSIN II has some upgrade parts that compared with ASSASSIN,it offers asymmetric twin-tower design,and uses new release fan-GF140 for excellent performance-noise ratio.However, breakthrough has been created for its special designed PWM fan with Min.300RPM for extreme silence.ASSASSIN II is designed for new generation CPU thermal requirement. Asymmetric twin-tower heatsink to power the conductivity of airflow more efficient, shark teeth shape&nickel-plated design to offer a gaming appearance. Dual FDB bearings&rubber-covered fan with PWM function, the longer lifetime&lower noise level, both fans for 300RPM Min. to offer a perfect &absolute quiet operation. 8 pieces of U-shaped copper heatpipe to ensure the best cooling performance, the sound bend design to enhance thermal efficiency Max. 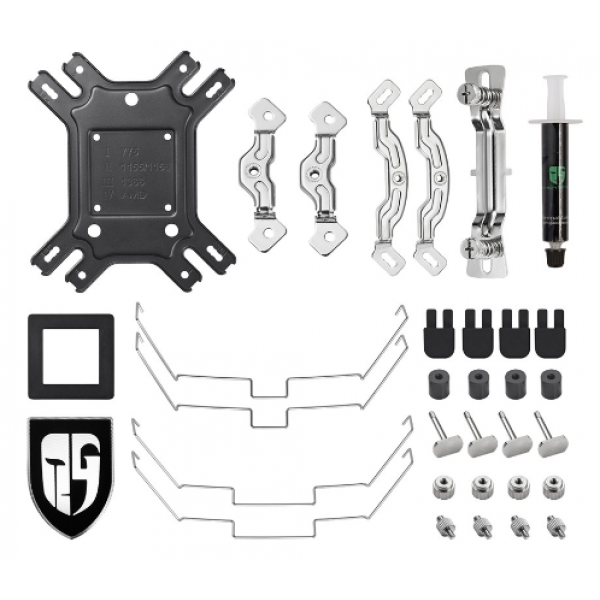 Equipped with multiple clips to support Intel LGA2011 -V3/LGA2011/1366/1156/1155/1150/775 and AMD FM2/FM1/AM3+/AM3/AM2+/AM2. 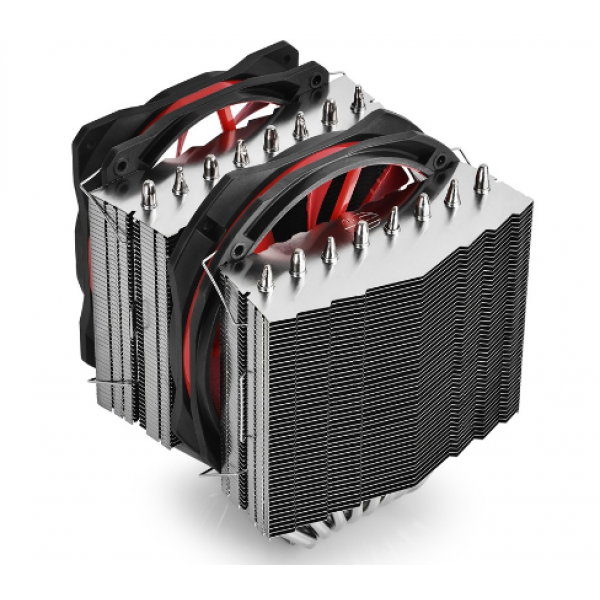 Asymmetric twin-tower heatsink to power the conductivity of airflow more efficient, shark teeth shape &Nickel-plated design to offer a gaming appearance. The optimal heatpipe array to ensure the best cooling performance, the sound bend design to enhance thermal efficiency Max. 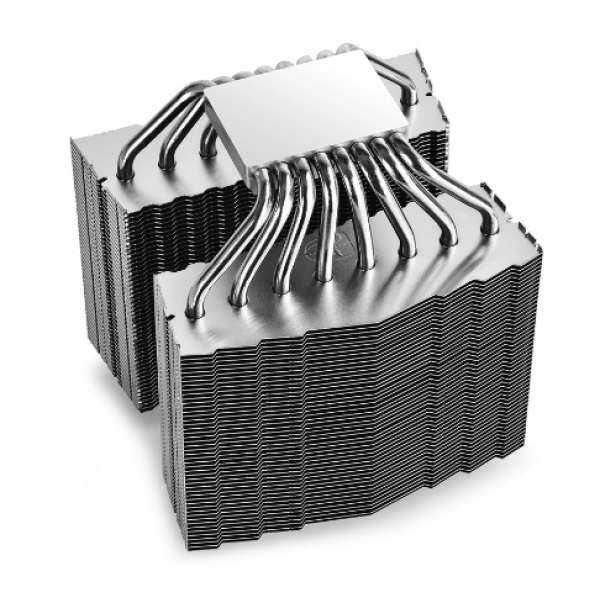 Nickel-plated & mirror finished copper base, the special bulge design to absorb the heat from processor fleetly. 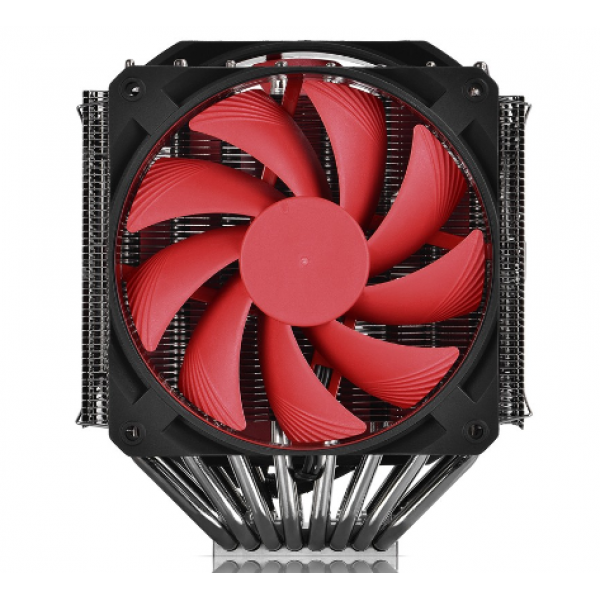 Patented GF series fans enhance the cooling performance by providing high airflow. At the same time, de-vibration rubber absorbs operating noise for a quite using environment. Rubber-covered fan with PWM function, the longer lifetime &lower noise level, both fans for 300RPM Min. to offer a perfect &absolute quiet operation. Japanese Fluid Dynamic Bearing & high-quality IC for both fans, offer a super low noise level. Also，detachable fan impeller with the function of recruited lubricating oil, greatly extend the lifetime. Fan hub control up to 4 PWM fan speed, also support cable management.